A gang of pirates took hostage 12 crew members of a Swiss cargo ship they attacked in Nigerian waters on Saturday, the vessel's operator has said. 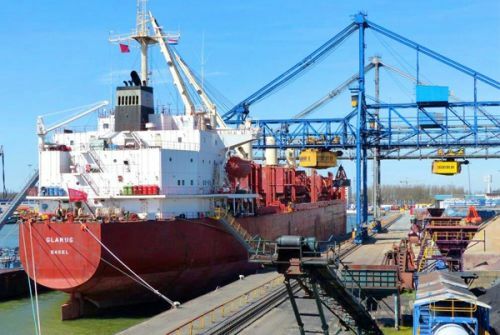 Massoel Shipping said its bulk carrier MV Glarus, with 19 crew, came under attack early Saturday morning as it transported bulk wheat from Nigeria's commercial capital Lagos to the southern oil hub of Port Harcourt. During the attack, around 45 nautical miles southwest of Bonny Island, "the pirate gang boarded the Glarus by means of long ladders and cut the razor wire on deck to gain access to the vessel and eventually the bridge," the company said in a statement sent to AFP. "Having destroyed much of the vessel's communications equipment, the criminal gang departed taking 12 of the 19 crew complement as hostage," it added. The Geneva-based shipping company said "all the appropriate authorities have been notified" and specialists have been called in to "secure the speedy and safe release of those being held." "Families are being kept closely informed of the situation," it said, without providing details on the nationalities of the kidnapped crew members. Switzerland's Foreign Ministry said it "has been informed of the attack on Glarus, a vessel sailing under a Swiss flag along the Nigerian coast."